It looks like two main ladies of country music will be staying together for Nashville Season 5. Connie Britton and Hayden Panettiere, who play Rayna James and Juliette Barnes on the musical drama, are both set to return for the show’s upcoming fifth season on CMT. According to a report from TVLine, both Britton and Panettiere are nearing deals with CMT to return for all 22 episodes of Nashville Season 5. 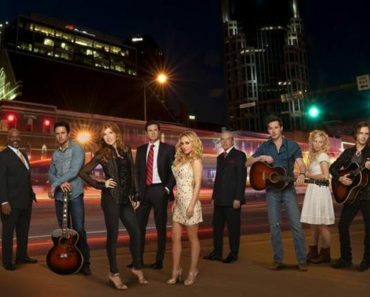 Additionally, their co-stars Charles Esten (Deacon), Sam Palladio (Gunnar), Jonathan Jackson (Avery), Clare Bowen (Scarlett), Lennon Stella (Maddie), Maisy Stella (Daphne), and Chris Carmack (Will) are also expected to be back as series regulars as well. Two Nashville actors that will not be back for Season 5, however, are Will Chase and Aubrey Peeples, who play Luke and Layla, respectively. Both Chase and Peeples were previously series regulars on Nashville, but they definitely won’t return in that capacity, if at all, during the show’s fifth season on CMT. In addition to picking up Nashville for a fifth season, CMT is also toying with the idea of an after show for the country music drama, similar to the likes of AMC’s Talking Dead. However, there has not yet been any official order for the series. 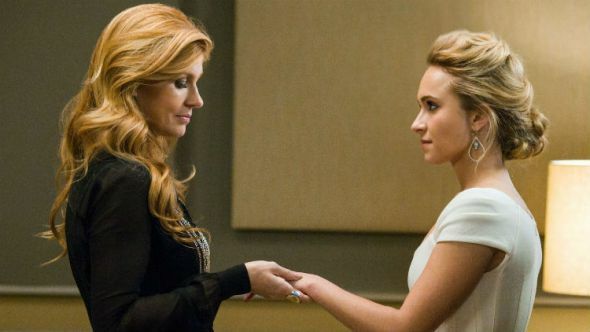 Nashville fans, does this casting news make you even more excited for Season 5? What do you want to see from the show’s first CMT season? Comment below and let us know.